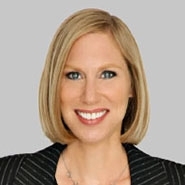 As an experienced hospitality lawyer, Nancy Yaffe contributed legal tips for HR professionals operating hotels in the article "26 Legal Tips for Hotel HR Professionals." One of the tips Nancy offered was that HR should check local and state laws, because exempt in other states does not mean exempt in California. "California is a different beast," she added. "You have to analyze employee classifications on a continuous basis." Yaffe also suggested they enforce a strong social-media policy, carefully manage relationships with the ADA, FMLA and Worker's Compensation laws, always maintain detailed records, know the difference between gratuity and service charges, among others. For the full list of tips, view the entire article.